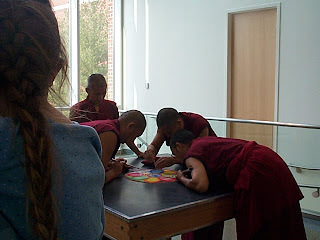 The Tibetan Monks are here to bless a new building at the University. 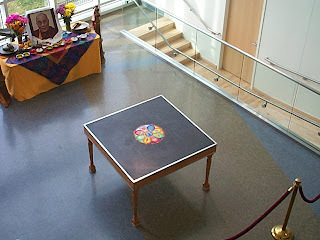 Today was the opening ceremony and they started the mandala which will take three days to build. Then on Thursday they will destroy it in a closing ceremony to show the impermanence of things. It was really neat watching-- we will go everyday to see the progress. On Thursday night they will have a show, doing their chanting and dancing.